Cyber warfare is inevitable. It’s what think tanks, intellectual leaders and the director of the NSA believe. Why are we not doing more to prepare? aNewDomain — Democratic frontrunner and former Secretary of State Hillary Clinton has been under continual, relentless fire during the two-year Congressional Benghazi investigation, which involved the tragic 2012 deaths of an esteemed U.S. ambassador and four others at the high-walled Libyan consulate, a partially burned and still abandoned villa. Last week on October 22, Clinton headed to the Hill and faced her Republican persecutors for the second time. She already testified in 2013 before the Senate Foreign Relations and House Foreign Affairs Committees about the fatal incident that terrible night. Political pundits have been spinning and weaving viciously for months, including Committee Chairman Rep. Trey Gowdy, who is under dire pressure “to put up or shut up” during the full day of Congressional testimony of Clinton, who sat in the hot seat to protect her leadership and management of security issues as former Secretary of State. Sharply undercutting the circus of Republican partisan attacks against Clinton, the CIA testified last weekend that disputed emails exchanged on an unsecured server between then-Secretary Clinton and her high-level friend and advisor, Sidney Blumenthal, were not deemed “classified” for national security purposes. This was the “bullseye” issue that Republicans on the committee have been dogging Clinton for. To her credit, Clinton has expressed deep regrets about the terror strike in Libya that killed four Americans and has apologized about the confusion surrounding the email flap that involed Libya and the department’s efforts to strike an accord in the Middle-East between Israel and Palestinians. More than anything (especially Clinton’s reputation) this controversy serves as an urgent wake-up call for government officials. They can no longer ignore routine security audits. They need to identify flaws in their networks. And, most importantly, they must execute new security paradigms to prevent international incidents and the U.S. from vicious hacking attacks. Independent audits over the course of several years have issued warnings to the State Department for weak cybersecurity, especially during Clinton’s watch. Reports from 2011 through 2014 show clear failures and the worst report card in federal government since 2009. The department’s inspector general claimed that the agency’s cybersecurity had a “significant deficiency.” The pending 2015 assessment has not yet been disclosed. He further claimed that the Clinton State Department created an exemplary model of cyber monitoring, which has since been implemented in other agencies. However, the issue isn’t how many attempts have been thwarted — it’s how many have penetrated the firewalls into sensitive government IT operational systems. The Clinton-Kerry State Department falls under greater scrutiny in protecting against cyber attacks than other outfits, so investigation of its methods are ever-present. For instance, government officials are attempting to confirm the claims of a hacker (still in high school, if they can be believed) that said they broke into personal email accounts of 25-year spy veteran, CIA Director John Brennan (who reportedly may still be using an AOL account), and Department of Homeland Security Secretary Jeh Johnson. Concerning other agencies’ data security profiles, a September report released by the Government Accountability Office (GAO) identifies perpetual weaknesses in data security across 24 agencies in the past two years, and GAO’s multiple recommendations have not been implemented. Moving forward from these obvious vulnerabilities, the U.S. will need to have cyber accountability and crack down on lax agencies and their leadership (much as the private sector has) if they are to shield against future attacks. Intelligence officials have warned the Senate Armed Services Committee that cyber attacks are becoming “more frequent, more sophisticated and more severe.” They identified specific concerns about foreign government-sponsored hackers, data manipulation and corporate espionage that could undermine the nation’s infrastructure. It’s clear that the security needed to defend against cyber warfare is paramount. The Office of Personnel Management (OPM) weathered severe criticism over the summer after acknowledging malicious cyber theft involving breaches of government databases, including the Pentagon, which exposed sensitive personal information of over 22 million people. In June, OPM disclosed an October 2014 breach of systems maintained at a Department of the Interior shared-services data center, which led to the exposure of an estimated 4.2 million personal records. Applicants for clearances complete a 127-page Standard Form-86, which contains all of their personal information, work history, family, associates, deviances and proclivities. Consequently, an unknown adversary now possesses the granular personal information belonging to the 19.7 million U.S. citizens who have requested or possessed a security clearance since the year 2000. Numerous officials, including U.S. Intelligence Chief James Clapper, have attributed the attack to China. 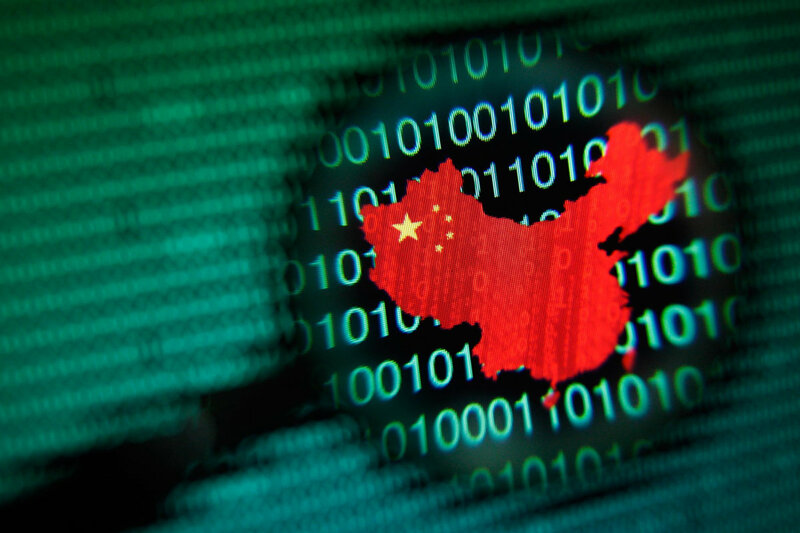 FireEye, iSight Partners and other firms attribute the attack to a Chinese state sponsored APT group, referred to as “Deep Panda.” “Deep Panda” steals PII from U.S. commercial and government networks for Chinese intelligence and counter-intelligence purposes. Even worse, the amount and detail of information about each victim increases in proportion to the individual’s level of security clearance. For purposes of espionage, this means that individuals with the highest clearance levels are at the greatest risk of exploitation. In September, the U.S. and China were working on a truce to refrain from cyber attacks against critical infrastructure — including nuclear power, energy, theft of intellectual property with the intent to gain competitive advantage and aerospace. This would only be in effect during peacetime. Although surveillance will carry on (business-as-usual), if the outlined cyber goals are unfulfilled, the U.S. will resort to “punitive measures,” including economic sanctions. “Sanctions remain a tool and we are prepared if necessary to pursue sanctions if we felt a case that merited that type of punitive action,” Kritenbrink said. However, in the government’s “one-size-fits-all” philosophy, it’s evident so far that an entry-level janitor has the same level of “protection” as the Seal Team 6 super-soldier. This is due to a lack of vision within OPM’s bureaucratic haven, given that there were no disciplinary measures for the catastrophic security breach, other than OPM’s director, Katherine Archuleta, stepped down from her leadership post. Scott observed that the OPM breach occurred due to the department’s dated technology and antiquated encryption systems. In other words, security must be purposeful — not an afterthought. The use of behavioral analytics or biometrics could help, according to Scott. In the last few years, federal law enforcement agencies have been expanding biometrics programs. The massive face recognition system Next Generation Identification (NGI) database is one such example. There’s also portable, mobile biometrics (i.e., handheld Androids) that are made for “time-critical situations” for street-level fingerprinting via the Repository for Individuals of Special Concern (RISC). However, collecting information on Americans for non-criminal purposes and then using the same biometrics for criminal purposes has moral issues. With this technology the government can submit the personal data of innocent civilians without any connection to the criminal justice system in the process of conducting thousands of criminal searches each day. Bureaucrats cannot seem to wrap their heads around the government’s desperate need for technology acquisition and this has severely inhibited cybersecurity evolution. The government’s belated attempts to accelerate technical competency continue to fall behind in spite of a recent survey of cybersecurity by BitSight that ranks the government as the second highest performing sector in the U.S. economy. In the world of rapid and flourishing high-tech development, the competitive edge is completely lost in the government sector due to delays, like 12 to 26-month wait periods, during which developments become outdated. Threat intelligence is automatically received from multiple sources in real time. A threat analysis system automatically correlates threat data to specific risks and then takes risk-based automated actions while alerting management. Private industry and cyber think tanks led by Morgan Wright have prompted a political movement, Cyber Decision 2016, an effort to bring cybersecurity forward as a key issue in the 2016 presidential race. During the first-round Democratic debate, candidate Jim Webb identified cybersecurity as one of the most serious of collective threats facing the U.S. presently, but the issue has barely been addressed. For all the fracas and fireworks between the exasperating, guffawing Republican frontrunner Donald Trump and former Florida Governor Jeb Bush over 9/11 preparedness, Bush wholly failed to defend himself. Wright notes that Bush probably should have mentioned that he has a plan on his website to deal with cybersecurity and protect our critical infrastructure. However, the issue has been muddled and seemingly lost in the midst of the Clinton controversy. Just as foreign enemies, such as ISIS, are gearing up its children and youth for future warfare, the NSA has announced its national initiative at “Day of Cyber,” which will provide elementary and middle school children, as well as college students, with online tools to introduce cybersecurity into the nation’s classrooms to gain a new understanding of future challenges. Due to their elders’ current failure to confront these cyber issues (unless there is an unprecedented effort to accelerate cybersecurity evolution) this action may fall into the hands of millennials. Many of the generation are already fed up with the NSA. Who will lead us to a cyber secure future? And how long will it take?